Ahhhh Winter. The land of twinkling lights, hot cocoa, crackling fires, and cozy sweaters. Also the land of chapped lips, dry skin, and itchy scalps. It's no surprise that the colder temps bring lower humidity levels that leave us all longing for the humid days of summer where our bronzed skin glows with moisture. Thanks to a couple great products, and a tip or two, you'll be able to stave off the cracked, itchy, skin. The skin on your lips is much thinner, and more sensitive than other parts of your body. In fact, it's so thin that the lips take on a reddish hue (as the thinner layer provides some visibility of the blood vessels present beneath the skin of the lips). Since the layer of skin is so thin, it means that it doesn’t offer much protection against the onslaught of dry and cold air, wind and sunlight. Unlike the skin on other parts of the body, lips don’t contain oil-producing glands that can help keep them moist, and they also don’t have hair to protect them against the sun. So what can you do? Preventative measures will save your lips here but my fave go to's are natural moisturizers like Shea Butter, Lip Scrubs, and Lip Masks. 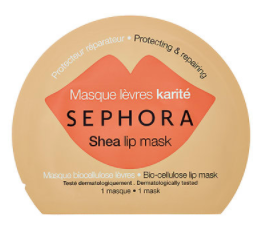 Lip Masks? Yes. Lip Masks. Pure, natural moisturizing ingredients like Shea Butter and Olive Oil provide instant relief to dry chapped lips, while Hydrating lip balms help keep the moisture in your lips all day and not evaporating into the dry air. 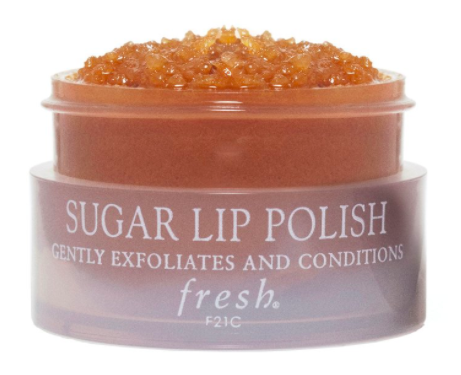 A lip scrub will help with rough dry lips and leave them smooth and kissable while First Aid Beauty's Ultra Repair Intensive Lip Balm aims to work deeper than the surface to help moisturize and soothe your lips. I like to moisturize my lips every night with a healthy amount of Shea Moisture's Raw Shea Butter. I saturate my lips in the yummy goo and sleep with it over night and wake up with moisturized soft lips. Click through each image to find out more about my faves! Even my oily skin starts drying out during the winter months and the effects are almost immediately felt and seen. The tight, dry feelings and all of a sudden those fine lines look a little deeper than normal. During the summer months I usually stick to a gel moisturizer that's lighter weight but during the winter months I pack on the moisture. My fairer complexion friends complain of redness and believe it or not sunburn. Winter sports out in the sun are a haven for sun damage so it's important to keep up with SPF year around. NIOD Hydration Vaccine from Abnormal Beauty Company. Hydrate, hydrate, hydrate. Besides drinking a TON of water (which you should be doing anyway year around to keep that skin glowing) there are a lot of incredible skincare technologies that help keep, and bring moisture into the skin. If you've ever asked me about skincare you've probably heard me talk about The Abnormal Beauty Company. I stumbled upon one of their popups at a Christmas Market in Toronto last winter and I've been obsessed with their offerings ever since. NIOD (Non Invasive Options in Dermal Science) have created magic in a bottle when it comes to moisture. It's so high tech it blows my mind reading about it but here's what you need to know. The brand describes it as a "breathing", adaptive hydration seal for the skin that helps protect against loss of Natural Moisturizing Factors, and supplements the skin's own moisturizing factors. NMF, largely composed of amino acids and minerals, is the skin's natural barrier against water loss—in effect, protection from loss of NMF itself is the first line of defence against protection from loss of hydration (water). This novel approach stands in sharp contrast to moisturizers that offer oils and lubricants as a method of hiding dehydration instead of respecting the skin's own barrier to water loss. This supplementation of NMF within the skin is shown to be so effective that it can help the skin look up to 20 years younger—purely by increased natural water content. How insane is that! Aside from moisturizing face masks I love love love moisturizing masks like Origin's Drink Up mask. It's a ten minute mask with an ultra creamy texture that you tissue off. I've been known to leave this mask on longer than ten minutes (one time I left it on during an entire international flight and I landed with perfectly hydrated skin). They do have an overnight version that is heaven for your skin. Because I heat style my hair the Winter months are particularly taxing on my hair. I switch my conditioner to a hair mask every time I wash my hair and I usually try to go longer between washes. I've been using the Blackwood for Men Hair Hydrator before styling and my hair is as shiny and silky as ever. Not that it matters too much since my hair is usually chock full of clay pomade but I still like the softness feel and knowing my hair is getting that extra level of moisture. What About those Hair Masks? Earlier I mentioned I switch out my normal conditioner for a hair mask during winter months. If you don't need as much hydration I still recommend adding it into your weekly routine. Right when you get in the shower wash your hair with a sulfate free shampoo and follow up with a healthy amount of your fave hair mask then continue with the rest of your shower routine. I'm currently hooked on Kenra Platinum's Revive Mask. In five minutes my hair is insanely hydrated, shiny, and feels thicker. Another option is the Kevin Murphy Hydrate.Me Masque which SAVED my hair when it was bleached out a couple years ago. Another secret? Scalp serums. Remillia Cosmocaps are a God Send during winter months. Simply pop open a little capsule and spread the oil on your scalp and massage in. It's best to do it at night before bed (don't worry, it's not oily or greasy!) or before you get in the shower to protect your scalp from harsh detergents in your shampoo. As a man of color I'm very familiar with the idea that my skin looks "ashy" when it's dry. It's the reason so many of us in latino and black culture grow up with lotions abound in our homes. Lotions typically work best right out of the shower to help trap the water in your skin. Cheap lotions do nothing short of that and nothing else but quality, natural ingredients are the way to go. I'm OBSESSED with using Shea Butter if you have haven't already realized. It's an incredible, powerful moisturizer and I usually have a custom scented tub of pure Shea Butter Body Butter from my friend Noelle's shop up in Canada Ellenoire. It sinks into my skin and leaves it glowing for hours. If you want something a little lighter try Origins Precipitation body lotion. Not only does it help guard against moisture loss but also brings moisture into the skin with a bevy of natural essential oils. Get a humidifier! Everything I've mentioned so far in this post can also be alleviated with a quality humidifier you keep in your home. Heaters dry out the air in your home and all of a sudden you're waking up feeling dry as a mummy every morning. A humidifier will do wonders for your lips, skin, and hair. Try it out!